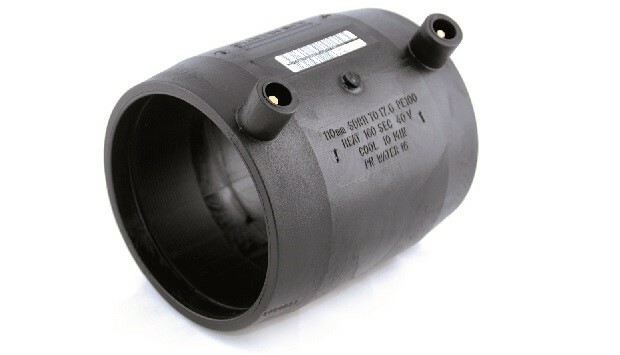 An electrofusion coupler fitting is used to join two lengths of poly pipe in a straight line. 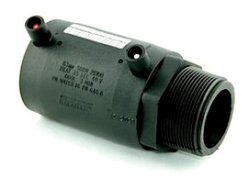 Electrofusion couplers are also used to join a long spigot fitting to a piece of pipe. 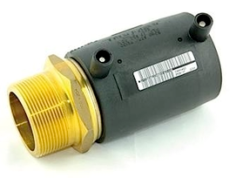 With a size range from 20 mm to 800 mm, electrofusion coupling fittings come in SDR 11, SDR 13.6 & SDR 17. SDR 11 electrofusion couplers are rated to PN16 water and 1000 kPa Gas, and SDR 17 electrofusion couplers are rated to PN10 water and PN6 Gas. 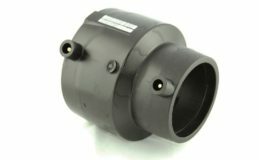 Electrofusion coupler fittings are made from PE100 material with a precisely moulded energizing coil of wire, ensuring uniform melting for a strong electrofusion joint and the minimisation of welding and cooling times. 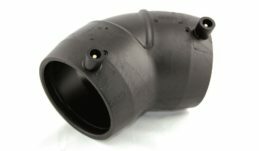 Electrofusion couplings are suitable for use for HDPE Pipe, and welded with an electrofusion pressure welder. Electrofusion coupling joiners may also be known as electrofusion joiners, electrofusion socket fittings or EF Pipe joiners. 20 mm Electrofusion Coupler (2014.0020) 20 mm EF Coupling. 25 mm Electrofusion Coupler (2014.0025) 25 mm EF Coupling. 32 mm Electrofusion Coupler (2014.0032) 32 mm EF Coupling. 40 mm Electrofusion Coupler (2014.0040) 40 mm EF Coupling. 50 mm Electrofusion Coupler (2014.0050) 50 mm EF Coupling. 63 mm Electrofusion Coupler (2014.0063) 63 mm EF Coupling. 75 mm Electrofusion Coupler (2014.0075) 75 mm EF Coupling. 90 mm Electrofusion Coupler (2014.0090) 90 mm EF Coupling. 110 mm Electrofusion Coupler (2014.0100) 110 mm EF Coupling. 125 mm Electrofusion Coupler (2014.0125) 125 mm EF Coupling. 140 mm Electrofusion Coupler (2014.0140) 140 mm EF Coupling. 160 mm Electrofusion Coupler (2014.0160) 160 mm EF Coupling. 180 mm Electrofusion Coupler (2014.0180) 180 mm EF Coupling. 200 mm Electrofusion Coupler (2014.0200) 200 mm EF Coupling. 225 mm Electrofusion Coupler (2014.0225) 225 mm EF Coupling. 250 mm Electrofusion Coupler (2014.0250) 250 mm EF Coupling. 280 mm Electrofusion Coupler (2014.0280) 280 mm EF Coupling. 315 mm Electrofusion Coupler (2014.0315) 315 mm EF Coupling. 355 mm Electrofusion Coupler (2014.0355) 355 mm EF Coupling. 400 mm Electrofusion Coupler (2014.0400) 400 mm EF Coupling. 450 mm Electrofusion Coupler (2014.0450) 450 mm EF Coupling. 500 mm Electrofusion Coupler (2014.0500) 500 mm EF Coupling. 560 mm Electrofusion Coupler (2014.0560) 560 mm EF Coupling. 630 mm Electrofusion Coupler (2014.0630) 630 mm EF Coupling.